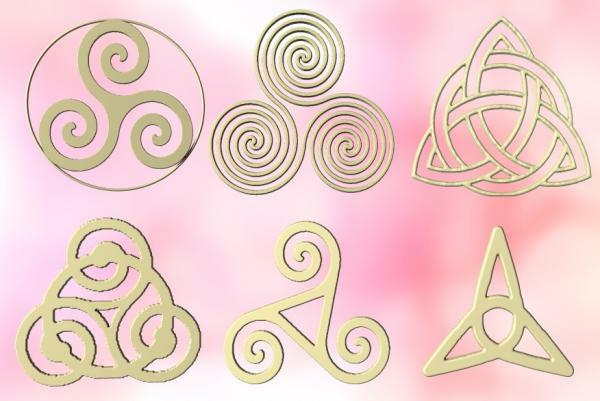 Generally associated with Celtic art, the triskele or triskelion is actually much older. The three legged symbols of both Sicily and Isle of Man are variations. Used in Celtic Christian art as a symbol of the trinity.